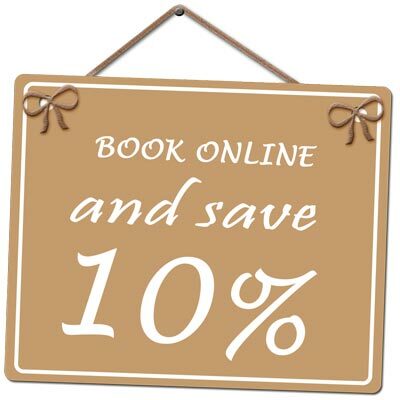 Distance from Hotel Borgo Pantano: 40 km (40 minutes). 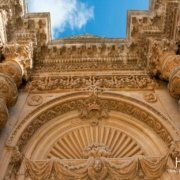 The town of Palazzolo Acreide is an archeological site of the oldest in the Italian, whose urban fabric has remained fairly intact and where you can observe the various historical layers: 3000 years of history between Sicilians, Greeks, Romans, Byzantines, Arabs and Normans. 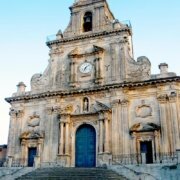 The town of Palazzolo Acreide is a city full of monuments, palaces and churches of Baroque and Art Nouveau. 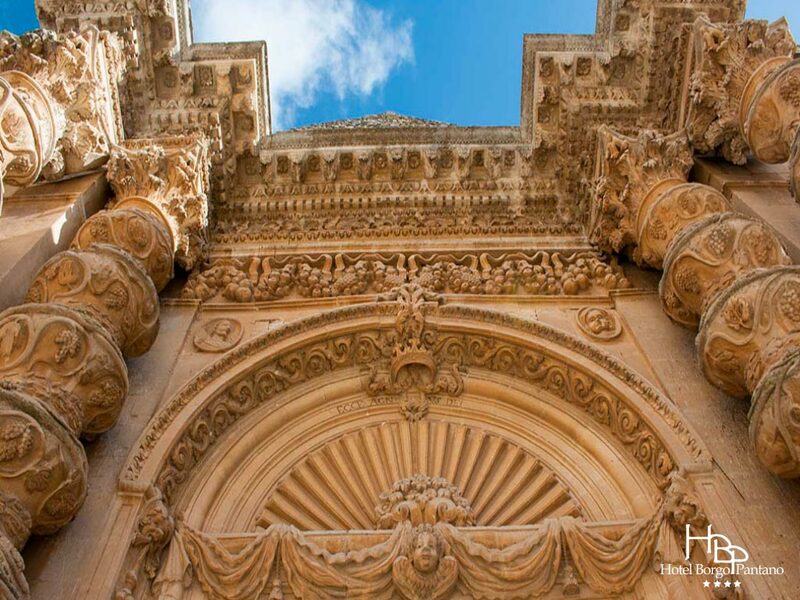 For this reason, in 2002, the town of Palazzolo Acreide was officially listed in the UNESCO list of World Heritage. 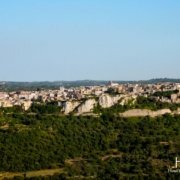 Palazzolo Acreide is a town in a triangular shape with the main entrances at the corners located on a hill 45 km away from Syracuse and is part of the Monti Iblei. In 664. C., on the hill called Acremonte, separating the valleys of the Anapo and Tellaro, the Syracusans founded Akrai. There are many citations of ancient historians and writers, who refer to the role of Akrai important events in the history of Sicily. 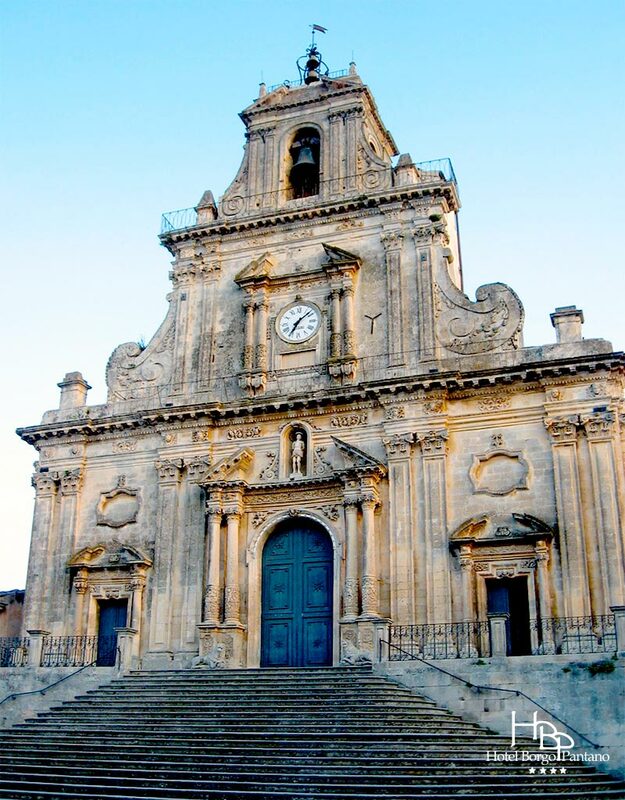 This place even before being appreciated by the Syracusans was chosen by the Sicilians who raised their own village around the twelfth century. Many were the rulers who took turns over the centuries: the Roman, Byzantine, Arab, Norman. Hence the various names given to the city: Akrai, Acre, Balansùl, Placeolum or Palatioli and finally Palazzolo who, in 1862, was added to the patronymic Acreide. 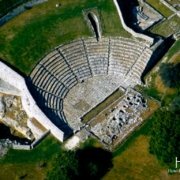 What to see in the town of Palazzolo Acreide? The Baroque city and its archaeological area. Destroyed by the earthquake of 1693 revived the eighteenth-century Palazzolo. In the People’s Square rises the imposing St. Sebastian’s Church with its spectacular staircase. Of eighteenth-century architecture is the Town Hall that was built on the site of the Benedictine Monastery. The vast square Marconi is the Villa Comunale features four spacious long avenues and trees ornamental trees, some very rare. The St. Paul’s Church was founded on the ancient Church of St. Sophia; The most valuable part is the façade in Baroque style. He is venerated St. Paul elected in 1688 Patron of Palazzolo Acreide. The Church of St. Nicholas is the Mother Church, is a Latin cross with a dome in the transept, the interior has three naves and the entablature of the cornice has a rich baroque decoration. The Church of the Annunciation is the oldest in the town of Palazzolo Acreide. The house-museum of Antonino Uccello is located on the premises on the ground floor of an ancient baronial mansion dating back to ‘700. The dedication and passion for the traditions of A. Bird has left testimonies of ethno-anthropological interest. 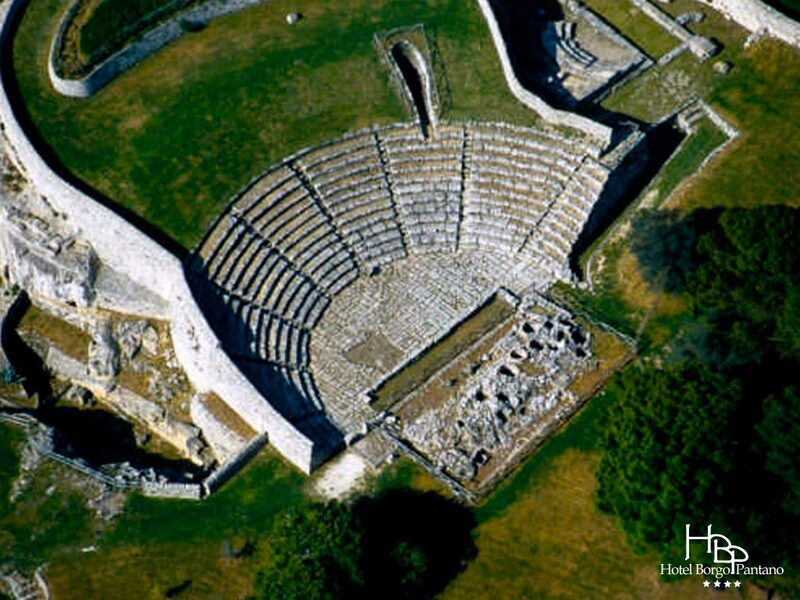 Inside the archaeological park, overlooking the valley of Anapo is the Greek Theatre. A narrow tunnel gives the option of connecting the quarry to theater Bouleuterion. This building of modest size was a gathering place for meetings of the Senate acrense. Near the theater are the remains of the Temple of Aphrodite. 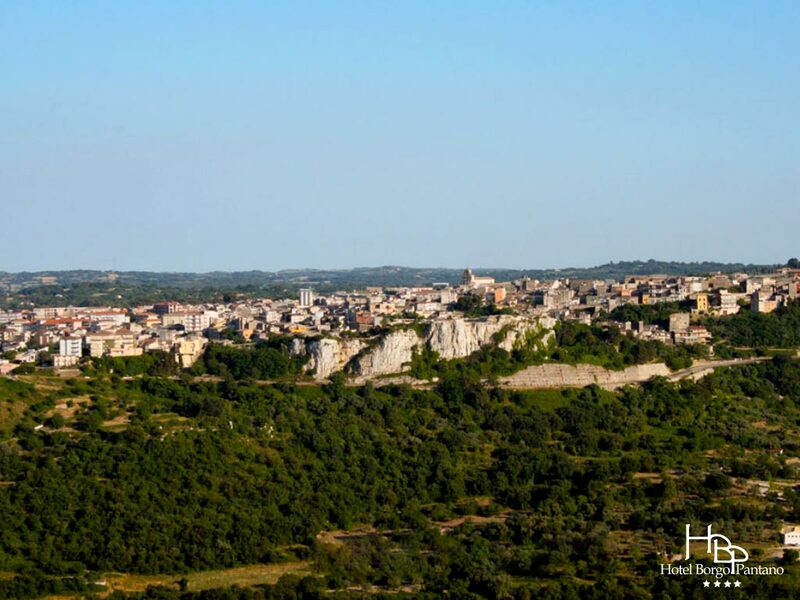 In South-East and the quarries called Intagliata dell’Intagliatella, initially used as stone quarries for the construction of the ancient Akrai, later they became places of burial. 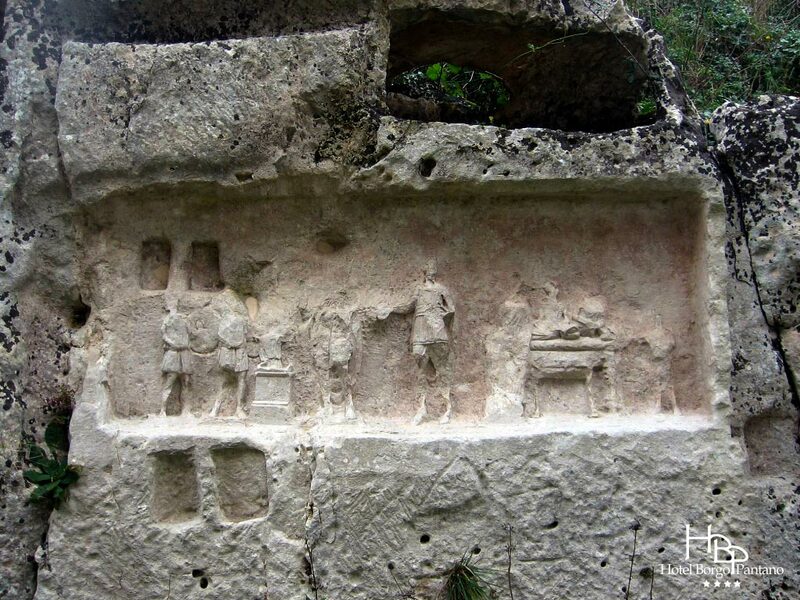 On the slope of the ancient city are located other quarries known as Ferali temples, places of worship. At the foot of the hill a series of bas-reliefs carved in limestone documents worship acrensi against the goddess Cybele or Magna Mater, recognizable by the eardrum, the Modio and lions. 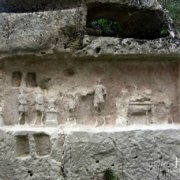 Carved on a wall that stretches for about 30 meters, are invoice rough but witnesses of historical and religious value. The necropolis of the pine forest occupies the top level of that district, and is visible from the parkway.